In this article, I will be discussing the finer points of Linux-based web hosting. First, I will go over the basics regarding what Linux is and how it can be used to run dynamic websites. I will then get into comparing Linux with Windows-based hosting, laying out the benefits and hopefully helping you, the reader, make a decision as to which is best for your situation. Linux is a computer operating system much like Unix. It was created in 1991 by Linus Torvalds at the University of Helsinki in Finland. He came to develop Linux while he was working on a non-commercial replacement for Minix, a small Unix-like system, hence Linux's similarity to Unix, meant for academic use. Torvalds wanted to exceed its 16-bit design and allow for more accessible modification and redistribution standards. Eventually, Torvalds came up with the Linux kernel. A kernel is the central component of most operating systems – it connects the application software to the hardware of a computer. 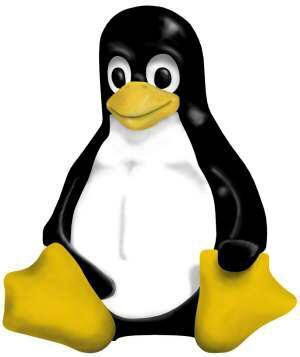 Linux source code is freely available to anyone thanks to its development under the GNU Project's General Public License. The GNU Project had the goal of developing a free and complete Unix-compatible software system. Let's be clear that Linux itself is not free; only its source code for the kernel and most software for Linux. Companies or Linux developers can charge for it as long as the source code is available for free. The Linux operating system is capable of many things, including networking, software development, and being used as an end-user platform. It runs on nearly any kind of hardware from the basics (Intel and AMD) to the more obscure (Digital Alpha, Silicon Graphics, and PowerPC). Because of its low cost and high functionality, it has become one of the most popular operating systems, especially when it comes to web hosting, where it is widely regarded as the most well-known kind of web hosting next to Windows. Every day, programmers and developers are fashioning Linux source code to meet their needs. Many projects are underway seeking to port Linux to a variety of hardware configurations. It's already used as an operating system for video game systems, like the Sony PlayStation series, and mobile phones. It runs on more types of computer architectures than any other operating system. This is because the kernel can run on architectures that were initially meant to use an operating system made by the manufacturer. Go on to the next section to get a better description of how Linux can be used for web hosting. Before choosing what kind of hosting to use, the user needs to determine what will be required of his or her site applications. Keep in mind that web hosting is usually offered as part of your provider's Internet access plan, many times free of charge and of the Linux-based variety. Linux web hosting also presents a wide variety of software available for use. The most common configuration is the LAMP platform, which consists of Linux, Apache, MySQL, and PHP/Perl/Python. The LAMP combination represents a solution stack (software components required to initiate a fully functional product or service, usually online) that can be used to support and run websites or servers. When put to use, they define web server infrastructures and the programming paradigm of developing software. It can also be used to launch a software distribution package. LAMP is popular because Linux is so cheap in itself, and it usually comes with the LAMP components, the first of which, Linux, is the operating system and has already been discussed. Apache is the web server component of LAMP. It is an HTTP server and, like Linux, is free and open source software. It provides access to most websites on the Internet and is available for both Unix and Linux. It is the most widely used web server on the market today. MySQL is the database management system used in LAMP. It is multithreaded and multi-user with the ability to give users access to databases by operating as a server. It has more than 10 million installations. The programming languages used in LAMP can be either PHP, Perl, or Python. PHP (Hypertext Preprocessor) is mostly used in server-side application software. Perl is a script programming language similar to C and has features borrowed from shell scripting, AWK, and Stream Editor (sed). Python is a multi-paradigm (mostly functional, object-oriented, and imperative) programming language similar to Perl. (Sometimes Ruby on Rails is used in place of PHP, changing the acronym to LAMR.) These languages can be used with Windows-based web hosting, but they are used primarily on Linux web servers. Please keep reading for a comparison of the two most popular kinds of web hosting, Linux and Windows. When choosing the platform on which to host your website, it's important to know that it doesn't matter which operating system you run on your computer. You can choose a Windows hosting platform if your computer runs Linux and vice versa. Both servers support File Transfer protocol (FTP) in order to gain access to your web account and put your web page onto the server from your hard drive. Usually only Linux offers ssh or telnet access, however. Both are ways to open a window and manage files directly on the server, usually using Unix commands. Knowing this, the main thing to keep in mind is what kind of site you are creating and how you intend to build it. If you intend to use any of the Microsoft proprietary technologies (e.g. .NET, ASP, FrontPage, Access, MSSQL, or Windows Streaming Media), then it would probably be best if you used a Windows hosting platform. Trying to run server-specific technologies on a different host can be difficult and expensive. Luckily, the majority of web technologies (e.g. PHP, POP3, MySQL) are supported by both platforms. Regarding stability, Windows is often seen as being more unstable than Linux. This goes back to the Windows 95 and 98 operating systems that occasionally presented a blue screen when a bug occurred. Usually, this required the user to restart their computer, which is no big deal aside from being annoying. However, since 2000 and XP, which were designed for servers, Windows has grown to be more stable. Linux has been known to run a little faster than Windows, in terms of performance. Although it's not a huge difference, Windows tends to run slower when more application processes are run on the machine. Perhaps this is because Windows likes to offer everything in one package, whereas Linux implementation is more flexible. In my opinion, the most important difference between the two is the price (for I am poor, there I said it). Because Linux is open source, it is also low cost and generally seen as the cheaper alternative to Windows. Indeed Windows is, first and foremost, sold by a business. And it is the primary objective of a business to make a profit. Ergo, given Microsoft's quasi-monopoly status, they have a bad reputation in this department. It's true that Windows does cost more to set up and run on a server. But those merely looking to choose a hosting company will not be greatly affected (money-wise) by the non-open source environment of a Windows platform. Hopefully this section was helpful in terms of making a decision between Windows and Linux web hosting. However, keep reading if you want to see this gruesome showdown come to a close. If your site is just a static HTML page and doesn't generate revenue, then Linux hosting is probably the best solution. In fact, server operating systems aren't even an issue with websites this basic. The type of server really only matters if you decide to add more complex, interactive features to your site. This is typical for most online businesses, in which case it's important to know what technologies your employees are familiar with. Just a reminder: ASP and ASP.NET were designed for Windows, while PHP and Perl work best with windows. One major benefit of Linux is the fact that it's open source. I know, I already mentioned this, but I'd like to point out that because it is open to the public, bugs and defects can be pointed out and fixed more quickly than with Windows, which has the whole Microsoft bureaucracy that needs to be dealt with before any action can be taken. Security is a concern for most businesses. Still, whether you're running your own server or using a web hosting company, security will always come down to the system administrators' capabilities. You'll want to make sure the administrators are highly skilled programmers rather than agonizing over what platform to use. In the end, most individuals will probably choose Linux as their default option, mostly due to its popularity and well regarded security and stability. However, the differences between Windows and Linux are negligible. As I've said, it's best to know which options offered by the hosting server best fit with what you're trying to do. What operating system they use should be one of the last things that you consider.